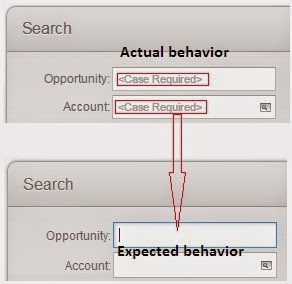 Hope you have enjoyed our Siebel Open UI training series. Now it’s time to check your Open UI knowledge with our Siebel Open UI Quiz. We have divided our quiz in three levels – Beginner, Intermediate and Expert. Right now we have published beginner level quiz only. Soon we will publish other two levels also. If you have any question or want to share your feedback, please feel free to comment below. Debugging in Siebel Open UI is the most important and difficult task for any Open UI developer, isn’t it!! But don’t worry, after reading this article, it will be easier for you to debug script in Siebel Open UI. 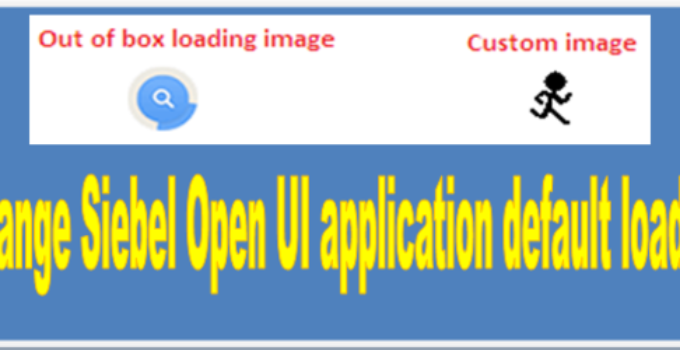 In Open UI, we write script mainly for Presentation Model, Physical Renderer and Theme. Here we will discuss step by step approach of debugging Siebel Open UI script. We will use browser developer tool extensively to debug Open UI script. In our previous module on Siebel Open UI theme, you have seen how to use browser developer tool for development purpose. Here you will use the same tool for debugging. So what is Browser Developer Tool ? To open browser developer tool, right click on any web page and then click on ‘Inspect Element’. You could use shortcut keys also like F12 for Google Chrome, Shift+Ctrl+Q for Mozilla Firefox. If your code does not work, first step is to verify all files are downloaded properly in the browser. Best tool to do so is browser developer tool (Inspect Element). 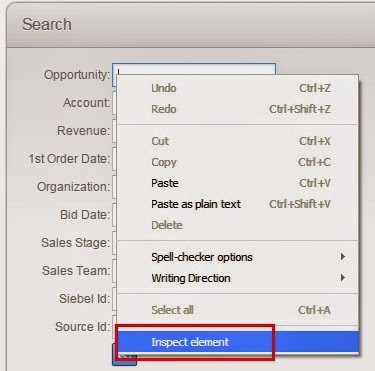 You first open Siebel Open UI application and right click to choose ‘Inspect Element’ to open developer tool. If your browser is Google Chrome, then go to ‘Source’ tab and search for files.If there is any error or warning in downloading file, you will see a small red or yellow icon on the top right hand corner. You click on those icons and down the ‘Inspect Element’ window, another window will show all errors. There may be several reasons behind download failure. If you have used log statement in multiple places, then add file name or any separator among log messages. It will help you to understand which log message is coming from which file. – Almost all modern browsers have built-in breakpoints feature with developer tool. You could add expression on breakpoints also. – If the developer tool does not give breakpoints functionality or you want to set breakpoints explicitly, then use ‘debugger’ statement in your script. – ‘debugger’ behaves the same way as breakpoints, code execution will stop at that point. This ends our seventh Open UI training module – Debugging in Siebel Open UI. If you have any question about Siebel Open UI Debugging, please feel free to comment below.